David Is At It Again! 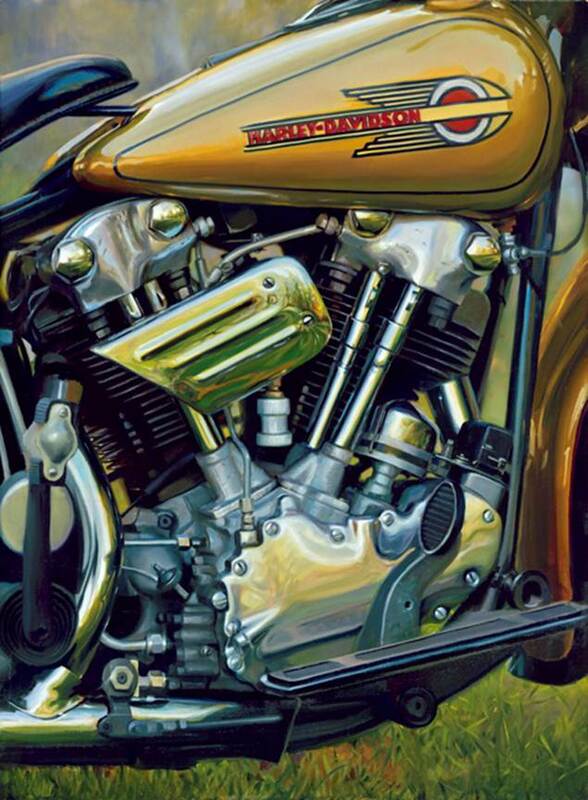 Fine Art Fridays, Harley-Davidson, Uncategorized Comments Off on David Is At It Again! You know by now that I am a big fan of David Uhl’s work. I am lucky enough to have picked up a couple prints over the years and they are a prize in my collection. Well, David has just announced the completion of his latest painting… check out the note below. 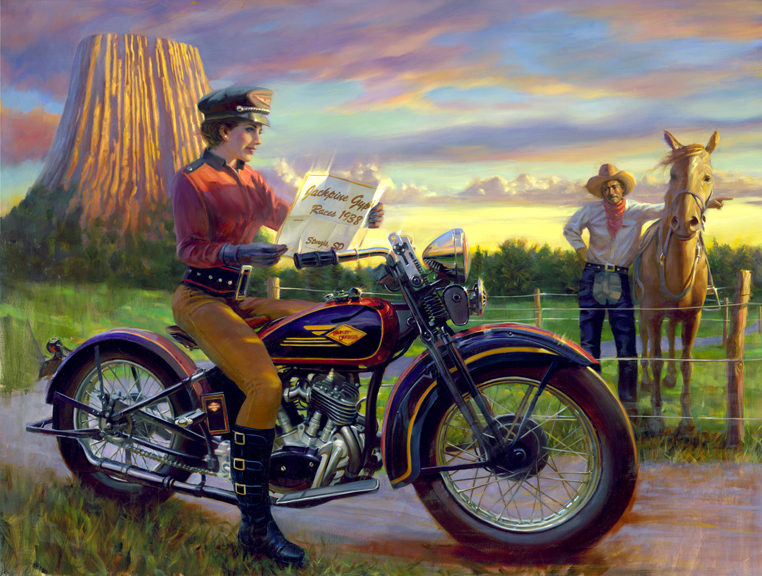 We are excited to announce the official release of “Stella” by David Uhl. As you probably know, she is the seventh in the Women of Harley series and David adds a new piece to this collection every 2 years. The painting was completed last week at Barrett-Jackson and was the hit of the show — the detail on each pearl on her necklace and the vivid colors of her shoes really jump off the canvas! You can view the image below, along with a detailed cropping of Stella herself. Please let me know if you want to add “Stella” to your collection. As always, please let me know if you received this email by mistake and we’ll omit you from our distribution list. “Ruby” era, except focus on the motorcycle as the catalyst of change. 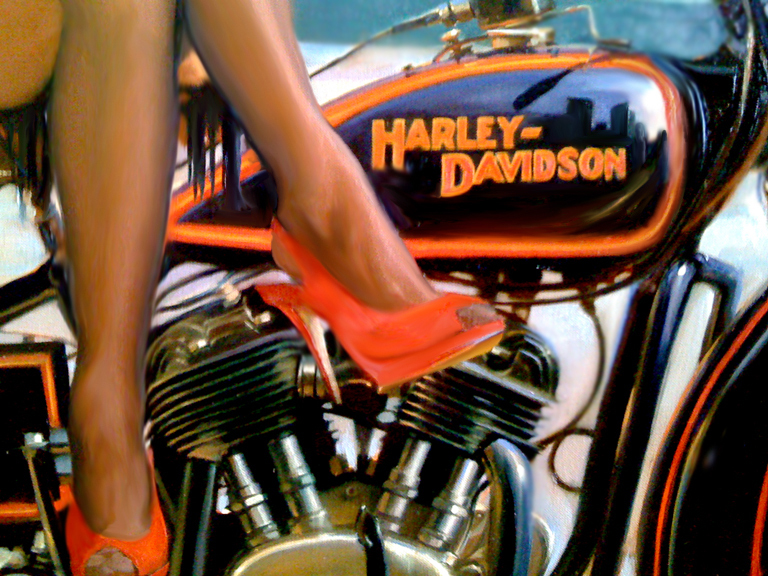 It’s been two years since “Evelyn” found her way into your hearts and we are almost ready to release David Uhl’s newest addition to his Women of Harley collection, “Stella”. Unlike “Evelyn”, “Stella” is not a seasoned rider but more of a rebel immersed in the changing attitudes from the Victorian Era to the Roaring ’20’s. Harley-Davidson was a catalyst in that change and just seeing a woman on a motorcycle was a pretty radical concept at the time. The painting is about 70% complete and we’ll be taking it to the Barrett-Jackson show in Scottsdale, Arizona which starts on Monday. David will complete the painting there and we will begin taking print orders at that time. We will send a full-image email release upon our return from Arizona (January 26th). For those of you who want to add “Stella” to your collection, we will hold your matching numbers while in Arizona. David wanted to tease everyone with the cropped image of “Stella” below. If you’re coming to Barrett-Jackson, please stop by and see us. We’ll be in the same location as in the past and you’ll get to see “Stella” in progress!